ESO Supernova Exhibition — What's between the stars? 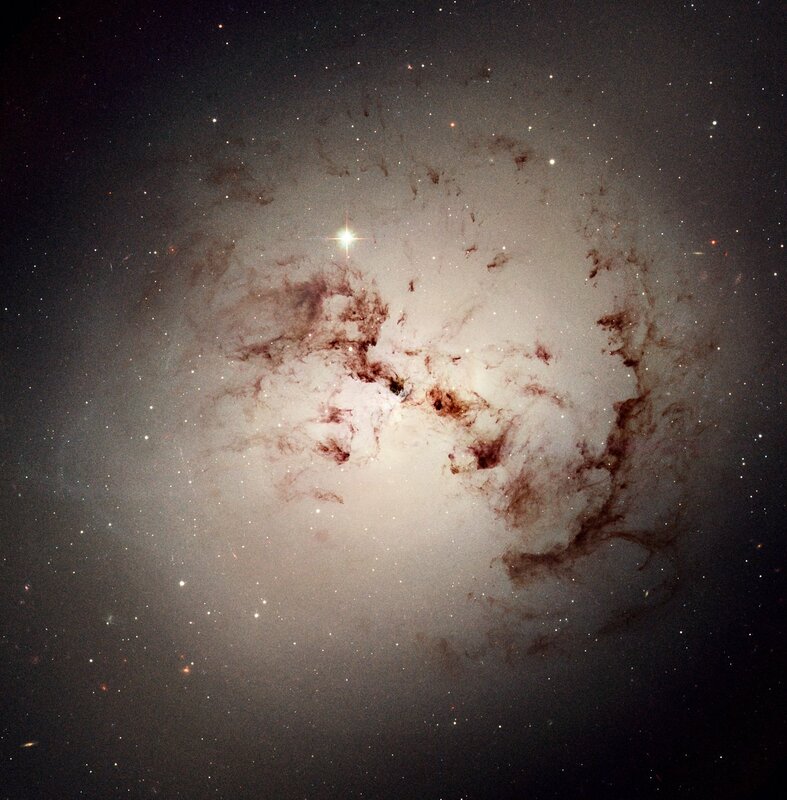 The space between the stars in a galaxy is not really empty. 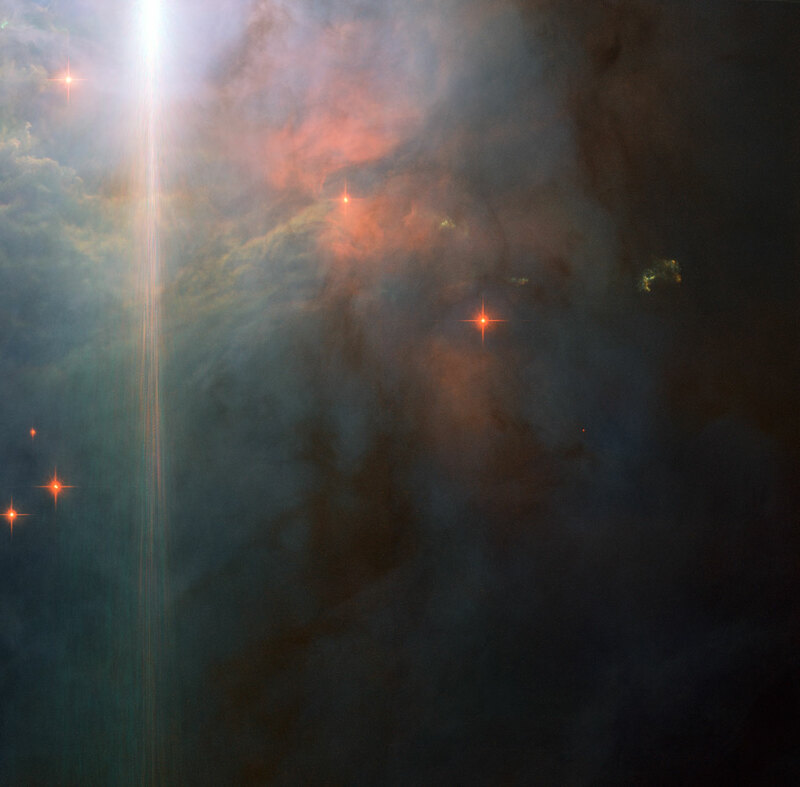 Gas and dust particles permeate the Milky Way. They can only be seen when they block starlight or when they emit radiation. Dust lanes: Seen from the outside, as here in the case of NGC 1316, interstellar dust is silhouetted against the glow of a galaxy’s stars. Cosmic cave: Radiation from newborn stars has sculpted a hollow region in a dense cloud of dust, outlined by the eerie glow of hot hydrogen gas. 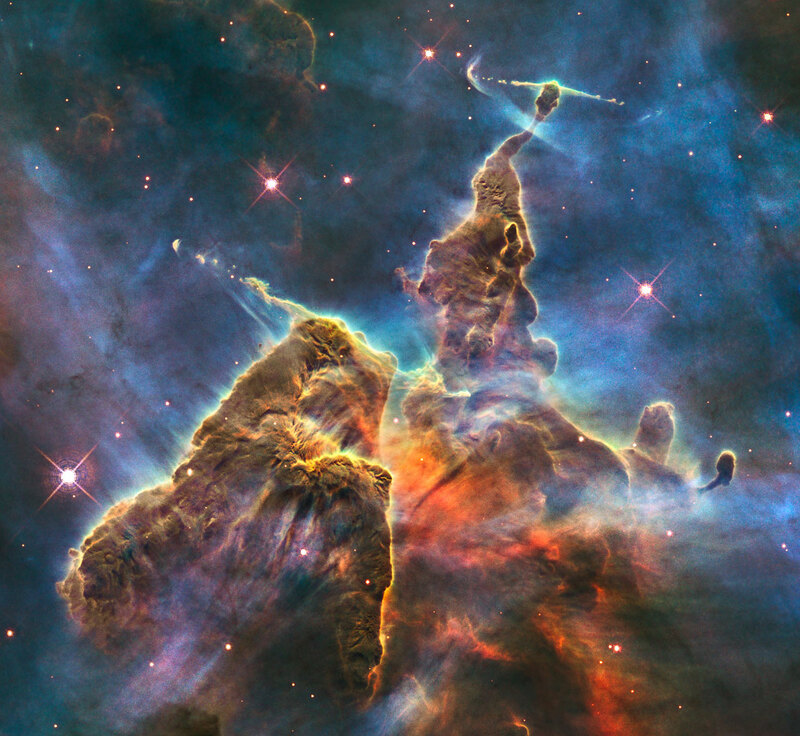 Mystic Mountain: Pillars of dust and clouds of turbulent gas create a surreal landscape of star-spawning interstellar matter in the Carina Nebula. Dark dust clouds that can be seen silhouetted against the glowing band of the Milky Way are evidence of the existence of interstellar matter. So are the bright gaseous nebulae that astronomers have been studying for centuries, and which are the birthplaces of new generations of stars. 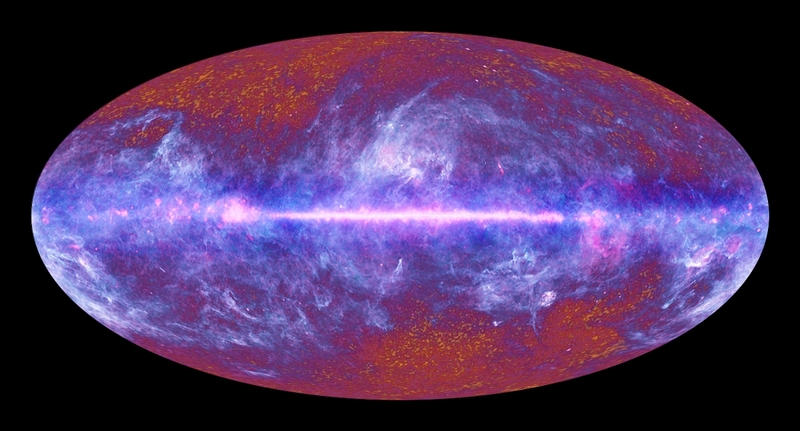 It only became clear in the early 20th century that this interstellar matter is everywhere in the galaxy. The noticeable dark and bright nebulae that we can see in the night sky are only the tip of the interstellar iceberg. 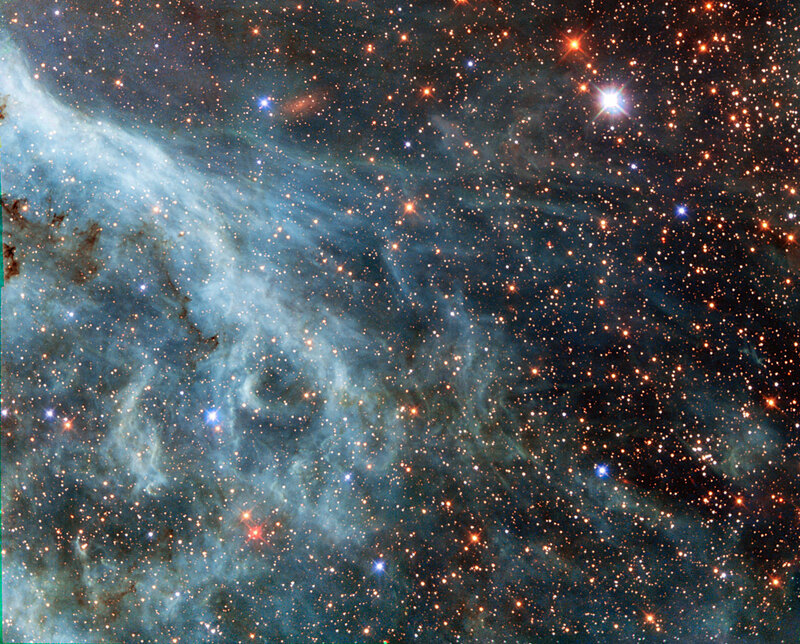 Blue ribbon: Strands of interstellar gas are colour-coded blue in this infrared view of the Large Magellanic Cloud, a satellite galaxy of our own Milky Way. Dust map: From observations by the European Planck space observatory, astronomers have created this map of the distribution of dust in the Milky Way. Interstellar means “in between the stars”. 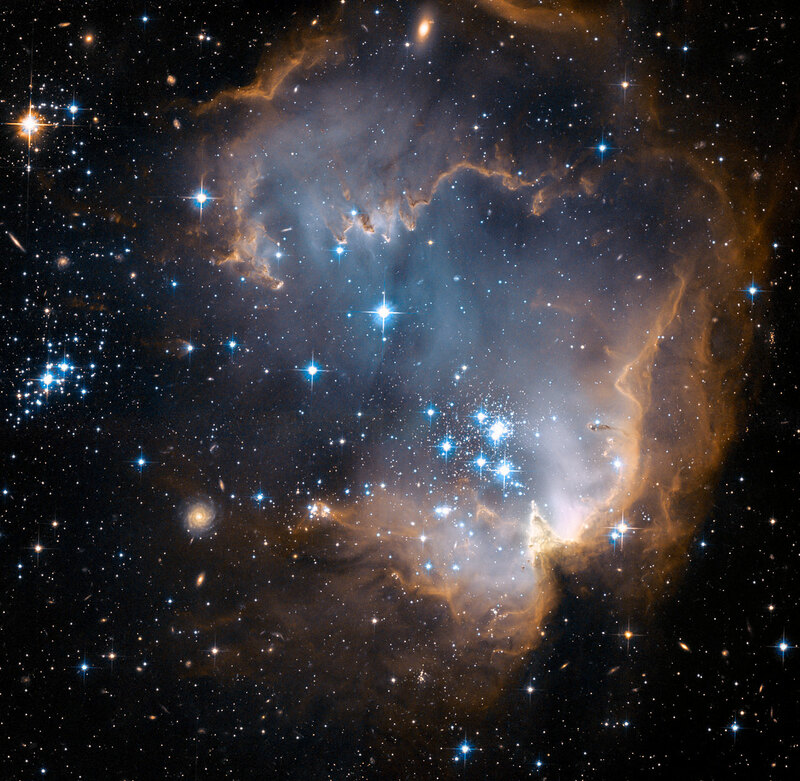 Even though it looks empty, space in between stars is actually filled with gas and tiny dust particles.